There is nothing more exciting as meeting a new or new-to-me author’s words for the first time. It’s a HUGE HIGH like no other! Lorelei James’ writing is a fierce fusion of sugar and spice. CAPTIVATING and CHARMING, When I Need You hits the heart and blazes the body where you can’t help but MELT. Jensen is PERFECTION!!! He is one HOT Swede who I pictured as Thor!!! His delicious dirty mouth is HEAVENLY!!! This football star is an all alpha with a huge heart. You can’t help but FALL HARD for Jensen! Rowan is a strong heroine, so beautiful and brave. This single mama is a warrior woman: selfless and sweet. She is the perfect complement to Jensen. The chemistry between Jensen and Rowan was palpable. This couple was on fire! Together, they were MAGNETIC! I tasted the soft feminine flesh that glistened just for me. I demonstrated what every shudder, sigh, and gasp meant. When I Need You is a SLOW BURN, a simmer of smolder, sweetness, and swoon. 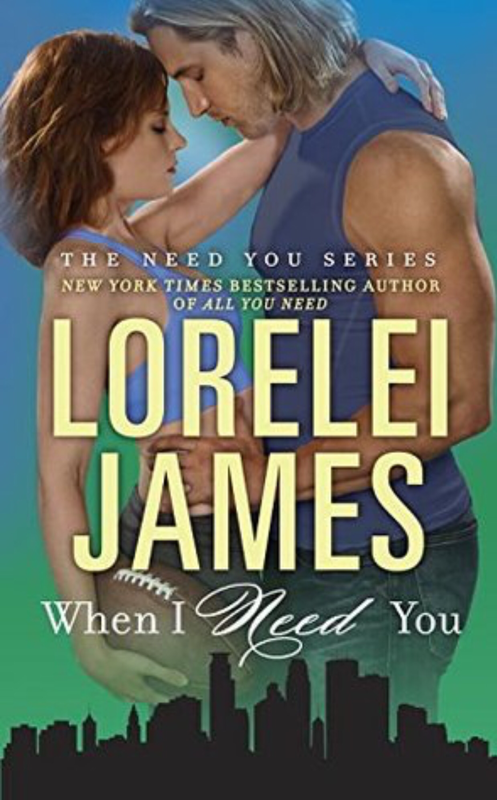 This sports romance made my heart dance! 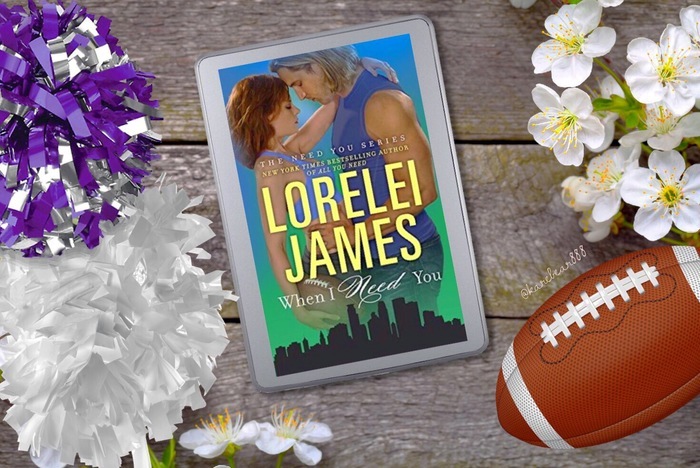 When I Need You is a tender and touching football fairytale. You can’t help but feel this story’s spell while reading.